Cathryn Miller, a native Canadian, runs (or is run by?) Byopia Press, which she operates in partnership with her husband, David. She turned fulltime to papermaking in 1996 after rheumatoid arthritis made it impossible to continue her then twenty-year career in hand-weaving. Saskatchewan, Canada: Byopia Press, 2017. Open Edition. 5 x 5.5" plastic case containing five envelopes of different sizes. Designed like Russian nesting dolls, one envelope fits into a larger envelope and so on. Typeset in Rosewood standard. Laser printed on acid-free card stock. Housed in plastic case. Initialed and dated by the artist. 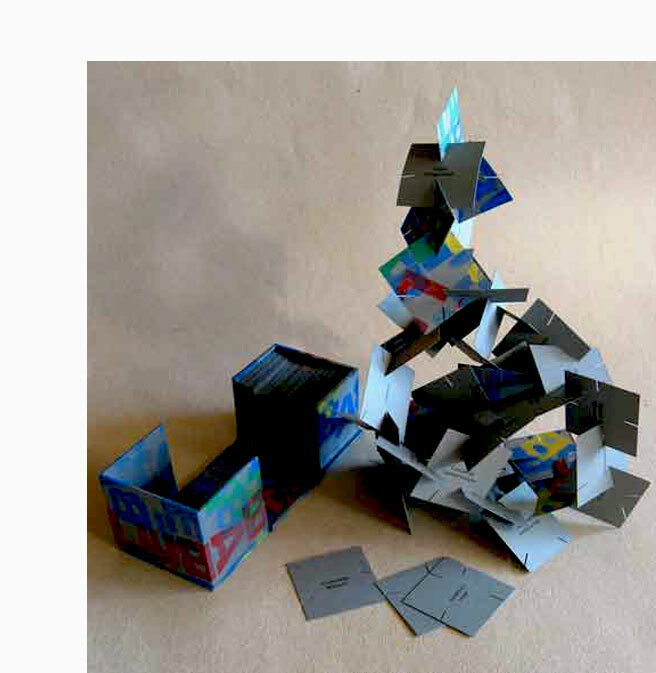 Cathryn Miller: "This artist's book was inspired by statements made by the Canadian Prime Minister concerning electoral reform. 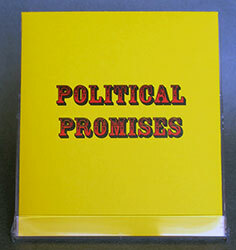 It is applicable to a wide variety of political promises. Byopia Press blog, March 5, 2017: "Once the book is opened, all the parts may be stored in the plastic case. ... 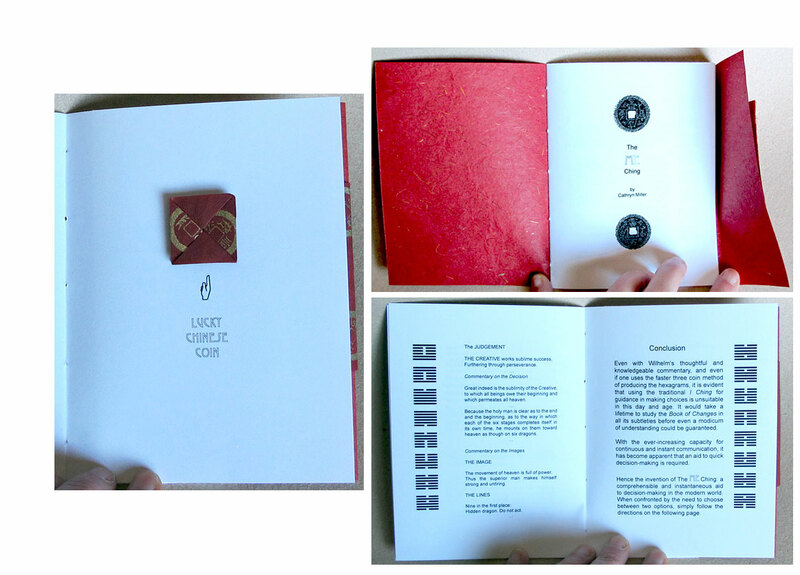 The book is assembled in reverse order: from smallest envelope to largest. … [E]ach has a smaller envelope inside. There are five envelopes in the completed book. ... After going through the process of opening all five envelopes one is, of course, left with nothing. Because I thought it might entertain him, I have mailed a copy to the Honorable Thomas Mulcair [leader of the New Democratic Party of Canada]." Saskatchewan, Canada: Byopia Press, 2016. 3 x 3"; 48 pages. Laser printed on pink acid-free cardstock. Laid in printed wrapper then slipped into printed full-cover paper band. Initialed by the artist. "Pages may be slotted together to build a tower (or perhaps a wall) that is, ultimately, doomed to failure." Saskatchewan, Canada: Byopia Press, 2016. Edition of 6. 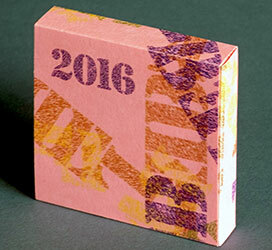 7 x 5"; 4 double-page openings. Double-sided accordion with swing panel structure. In wrapper with slip and slot closure. Initialed and numbered by the artist. Cathryn Miller, colophon: "Part of an ongoing series of works based on exploration of colour-graphemic synesthesia. This book presents the poem 'Westron Wynde' in a purely visual form. Letters become colours, and are used as graphic elements. The book manifests the essence, if not the sense, of the poem." Grasswood, Saskatchewan, Canada: Byopia Press, 2015. Edition of 24. 5.5 x 4.75" lidded box. Set of digitally printed accordions with paper doll, custom wrapped crayons, simulated till tape. Materials: paper, crayons, self-adhesive labels, purchased tin. Linocuts by Monique Martin. Writing, digital design, custom production (printing and assembly) by Cathryn Miller. Signed and numbered by Miller. Cathryn Miller: "I collaborated on this work with Monique Martin because we both feel that rampant consumerism is a major social problem. It not only leads to things like appalling working conditions in third world factories and massive personal debt in North America, it doesn't really make the ultimate consumers happy. One might define Affluenza as a painful, contagious, socially transmitted condition of overload, debt, anxiety, and waste resulting from the dogged pursuit of more. Proponents of the term consider that over-emphasis on endless increases in material possessions may lead to feelings of worthlessness and dissatisfaction rather than experiences of a 'better life'. Affluenza, a paper doll with more clothes and accessories than she can ever use, and certainly far more than she needs, is representative. The alphabet poem describing her condition is symbolically printed as a till tape." Colophon: "You, too, can be an enabling co-dependent. Just colour far more clothes and accessories than Affluenza can use. Three custom-wrapped crayons are provided, but feel free to use crayons or coloured pencils that you might already have. If you are truly committed to making sure that Affluenza has far more than she (or anyone) needs, pages from the book provided may be photocopied as desired." Grasswood, Saskatchewan, Canada: Byopia Press, 2015. Edition of 20. 9.25 x 2.5";18 panels. Palm leaf structure with string binding at each end. Archival pigment inkjet printing on Legion Domestic Etching paper. Other materials: Lurex thread, crochet cotton. In sleeve. Signed and numbered by the artist. Deluxe edition (numbers 1- 4) has Lurex [yarn with a metallic appearance] cross-stitching on sleeve and two pages. Home Is Where The Heart Is) on the wall. This book is an attempt to evoke both those homes and the one that I grew up in, which was always a little different. "The book opens vertically to simulate a venetian blind, and may be hung on the wall for display." Grasswood, Saskatchewan, Canada: Byopia Press, 2013. Edition of 18. 6 x 4.5"; 12 pages. Laser printed on 100% acid-free paper. Includes Chinese coin in small origami pouch on last leaf. Bound in starch-coated cotton paper with cotton cord tie. Initialed and numbered by the artist. Byopia Press: "Given the high-speed world in which we live, the I Ching – that ancient tool of divination and decision-making – no longer seems appropriate. 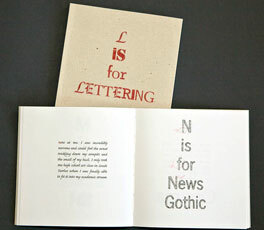 Cathryn Miller has produced a pamphlet introducing a modern alternative. Beginning with an introduction to the history of the I Ching, then covering methodology and interpretation, this twelve-page booklet concludes with one page of simple instructions for the use of the ME Ching to aid in decision-making. A Chinese Lucky Coin is included in a special pocket." Grasswood, Saskatchewan, Canada: Byopia Press, 2012. Edition of 30. 3 x 3.5"; 6 pages. Archival inkjet printed on Legion Domestic Etching. Typeset in Minioin Pro and Bickham Script Pro. Digitally altered photos of dead mosquitoes. Signed, dated, numbered by the artist on the back cover. Black wire net band closure. 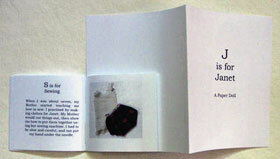 Cathryn Miller: "This is a tiny book containing a tiny thought that could change the world. 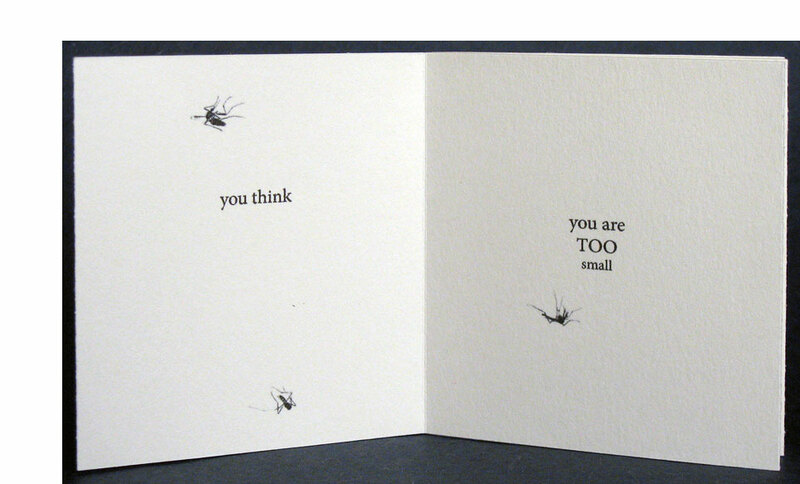 The text is an African proverb heavily illustrated with images of mosquitoes (mostly squashed) and wrapped in a band of what we all need in places where mosquitoes live —window screen." "IF you think you are TOO small to make a Difference, try spending a night in a closed room with a mosquito." 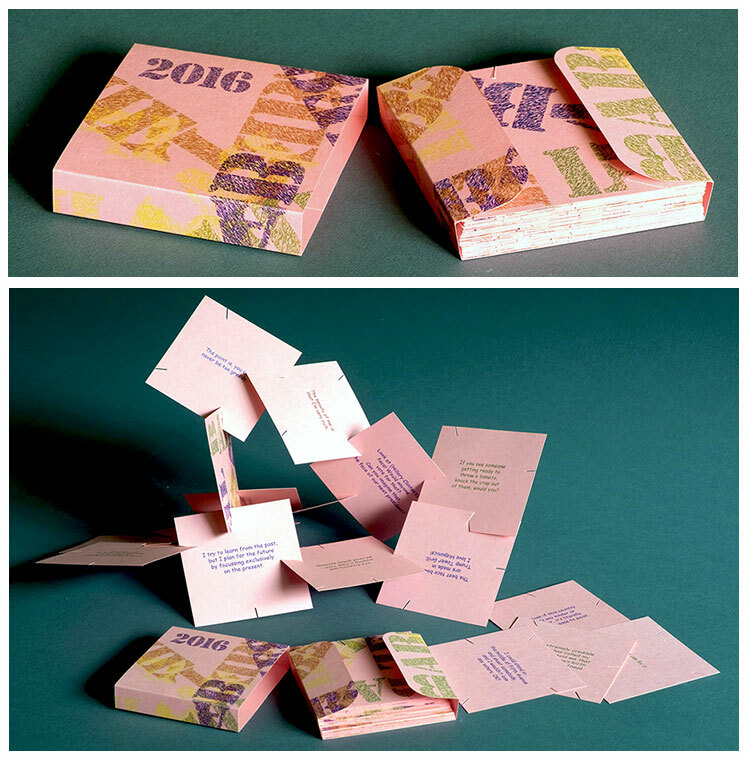 Miniature 1.5" x 1.5 x 2" box containing 82 stars and 4 page information booklet. Initialed by the artist on the bottom. Cathryn Miller: "This is the perfect 'book' for the person who has everything — except, perhaps, gratitude. 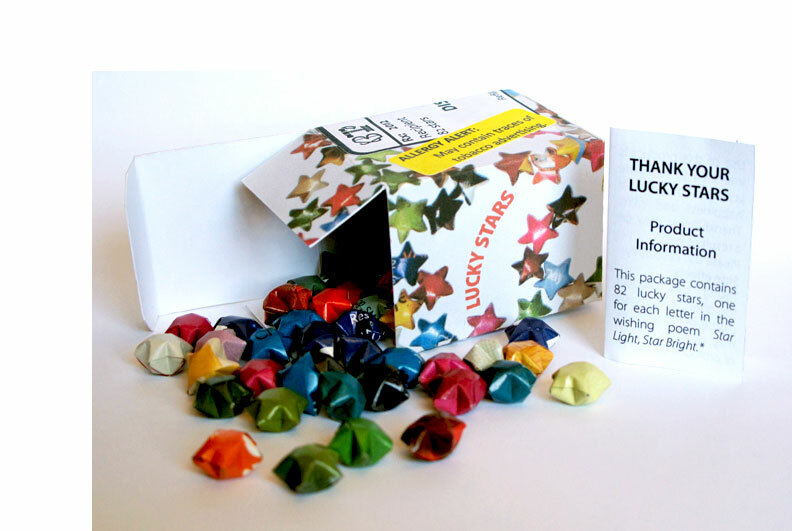 Eighty-two tiny 'lucky stars' are packaged in a lovely printed box along with an informative 4-page pamphlet. The outside is appropriately decorated with labels that simulate the ones that appear on pharmacy prescriptions. "Like many modern products, the contents — the lucky stars — are free (you cannot buy luck), so the cost of the work is payment for handling and packaging." Grasswood, Saskatchewan, Canada: Byopia Press, . 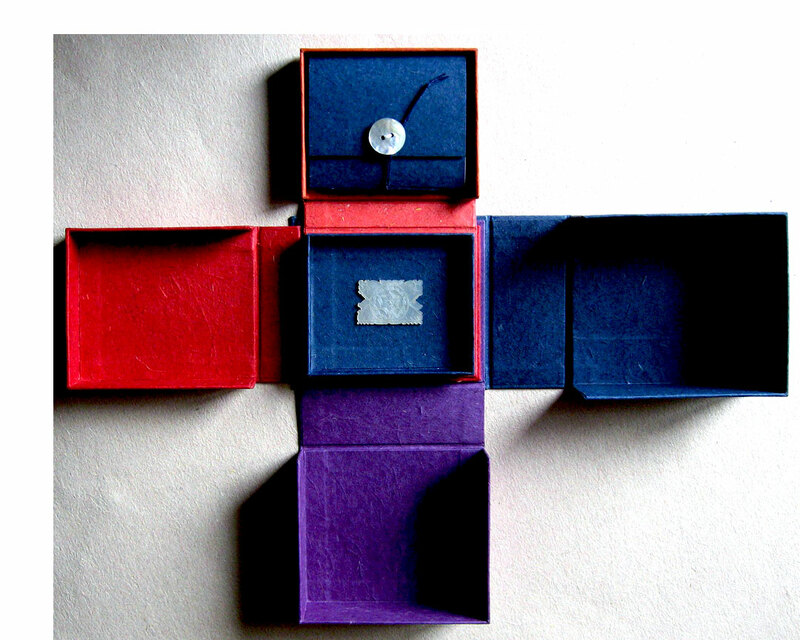 Paper covered lidded boxes each 10 x 7 x 7". 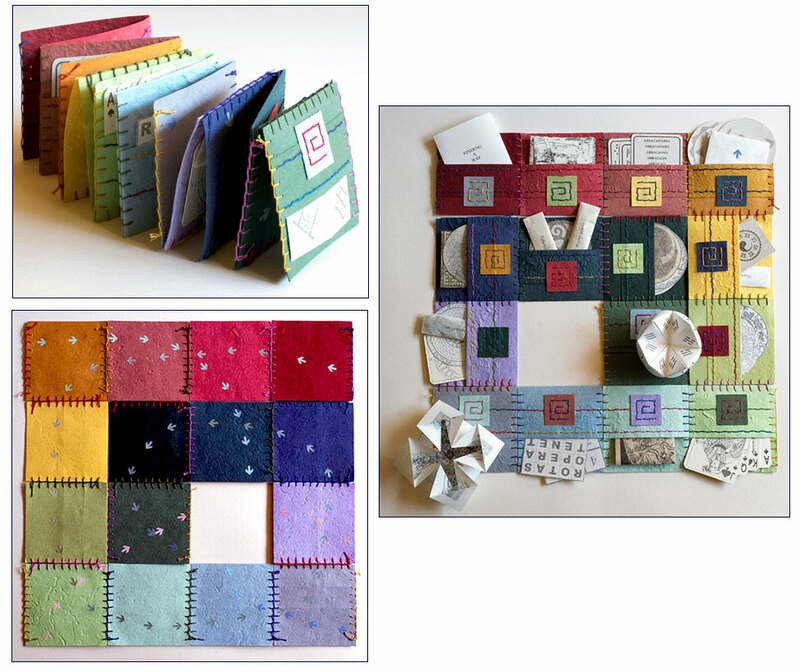 Each box contains cut and folded Froebel stars made from the pages of Life Nature Library volume "The Universe." Each box pays homage to one volume of the Isaac Asimov's Foundation Trilogy: Foundation, Foundation and Empire, Second Foundation. 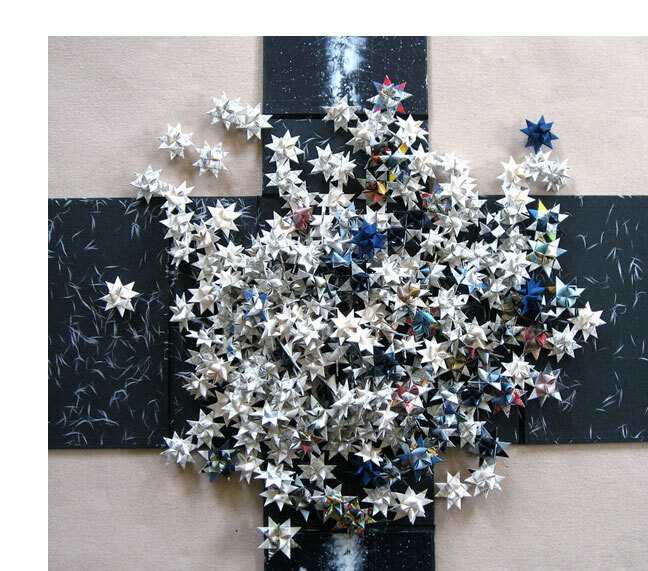 Cathryn Miller: "The universe cut and folded into several hundred (that's a guess) Froebel stars and placed in a box. A reinterpretation of the original book's subject matter. "I have had a lifelong fascination with paper. I enjoy not only making it, but 'playing' with it to create unusual 3-dimensional structures. I consider [paper] to be not just a support material for other processes, but an interesting thing in itself. The sculptural possibilities appear to be limitless." This series of altered books from the pages of a book based on "facts" about the universe pays homage to Asimov's iconic science fiction trilogy, voted the Hugo Award for "Best All-Time Series" in 1966. Grasswood, Saskatchewan, Canada: Byopia Press, 2010. 2.75 x 3.25"; 12 pages. Laser printed on acid-free paper. Type: Euphemia UCAS. Pamphlet bound. Blue paper wrapper with button and thread closure. Laid in a 3.75 x 4.25 x 1.75" multiple-layer clamshell box. 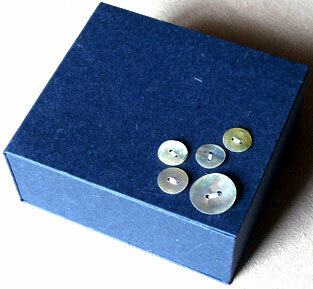 Ornamented with antique mother-of-pearl buttons. Materials: paper, book board, antique mother-of-pearl buttons, gaming chip, 80# acid-free 100% recycled text paper, cotton cord, linen cord. Cathryn Miller: "Shell Games was inspired by three human tendencies: our apparent attraction to pretty things, to game playing, and our frequent disregard for consequences. 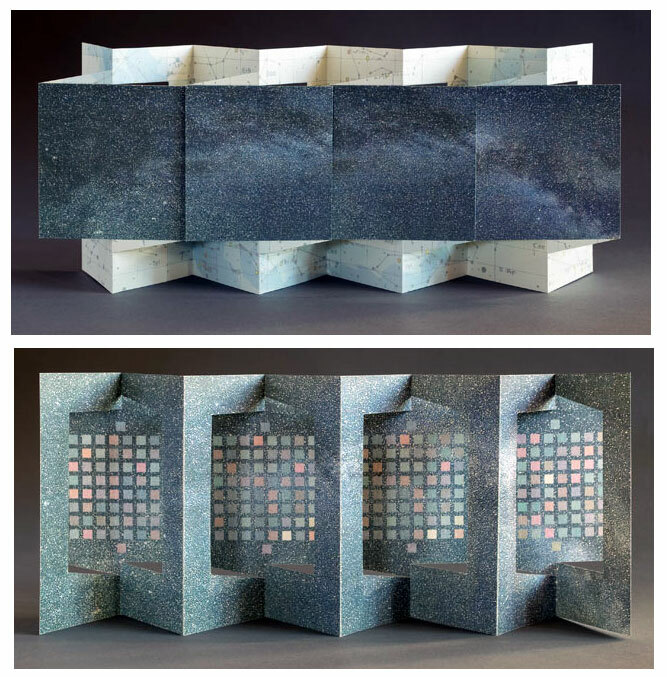 The structure (a multi-layered clamshell box) and the inclusion of mother-of-pearl objects echo the subject matter of the small book at the heart of the work." A short personal essay that links mother's warmth, children's games, gambling, and unforeseen – or ignored – ecological consequences. Text excerpt: "The large-scale harvesting of shells occurs for two reasons: gathering of live specimens for sale to collectors, and bulk harvesting for the production of mother-of-pearl. The mass removal of single species and the use of drag nets for bulk harvesting can both cause ecological problems." Grasswood, Saskatchewan, Canada: Byopia Press, 2009. 8.5 x 8.5"; 64 pages. Typeset in Adobe Caslon Pro on acid free 80# text and PremierArt Fine Art Paper. 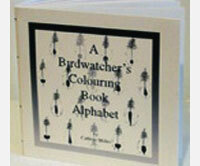 35 full-color plates, one small color frontispiece, and 6 line illustrations by the author. Clothbound with onlaid paper band, laser printed text, and giclée printed illustrations. Text, illustrations, and photography by David G. Miller. 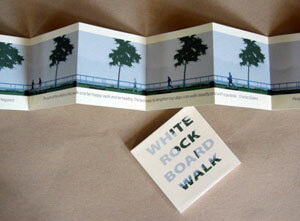 Book design and production by Cathryn Miller. Numbered and signed on the title page by the author. 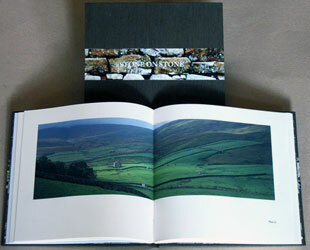 Cathryn Miller: "It’s a book of archival inkjet printed (giclée — I still prefer the French term since it is shorter) images of dry stone walls taken by my photographer husband on several of our walking holidays in England, Wales, and Scotland. It includes an ... introduction by him which describes the history and construction methods used over the centuries." David Miller: "The walls are ubiquitous. Into the upland fields and pastures of England's northern counties, across the Cotswolds and the southwest, through North Wales and southern Scotland – wherever good stone is accessible –- drystone walls are a presence as inescapable as the sky." Grasswood, Saskatchewan, Canada: Byopia Press, 2008. Edition of 12. 3.5 x 3.5"; 20 pages. Typeset in Garamond Premier Pro. Text and original illustration digitally printed on 100% recycled paper. Housed in a plastic case. This Saki (pen name of H. H. Munro) satire of Edwardian mores has the expected macabre elements. The title character, a ferret, becomes the avenging god in a young boy's repressed world. The tight, crisp presentation – small page size, straightforward design, basic black-on-white palette, the plastic case – mirrors Saki's signature style. Grasswood, Saskatchewan, Canada: Byopia Press, 2007. Edition of 24. 6 x 6" closed, extends to 36"; 6 pages. 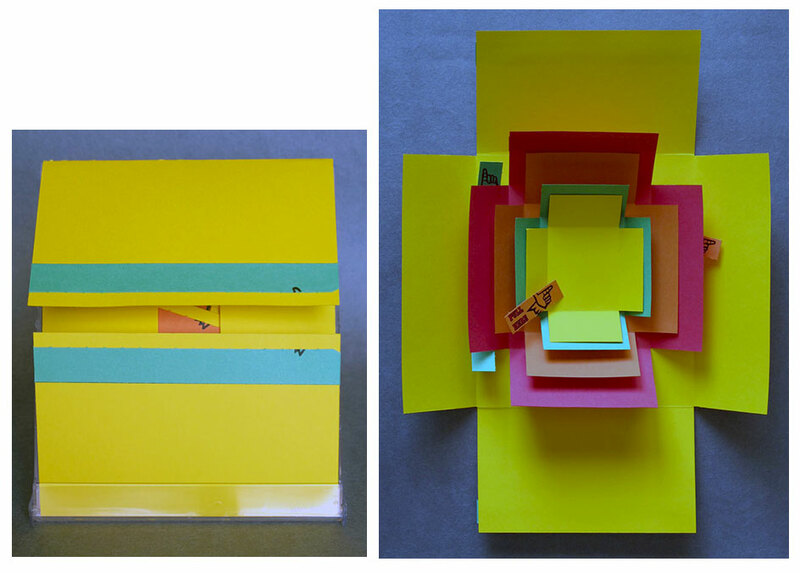 Accordion fold. Typeset in Caflisch Script Pro. Giclée printed on Legion Domestic Etching and laid into a giclée-printed paper envelope folder. 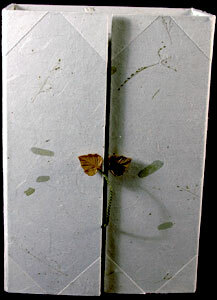 Cathryn Miller: "My work often reflects my life long interest in the natural world. 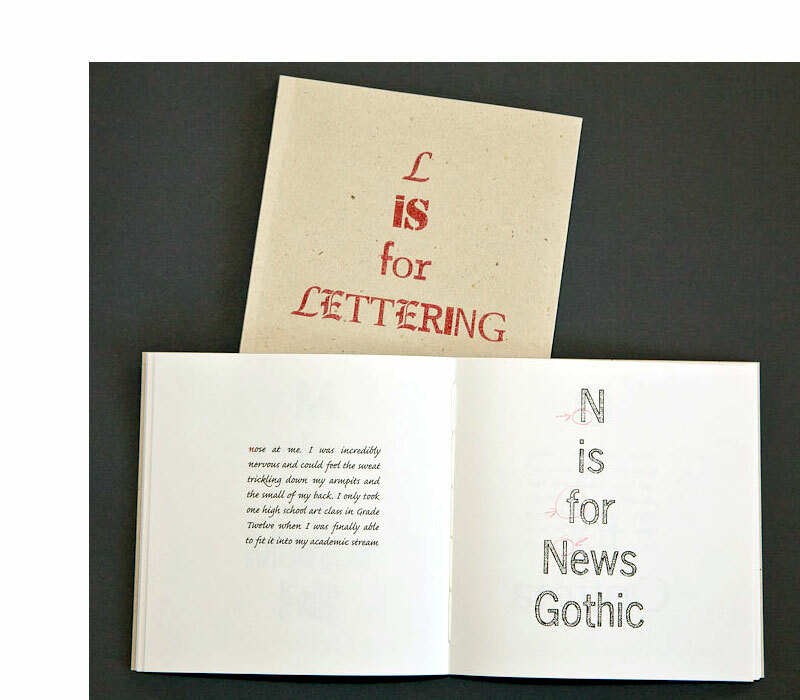 The individual books are usually small, conceived as a personal connection between maker and viewer/reader.They can be held in the hand, and are thus more intimate than a large folio." 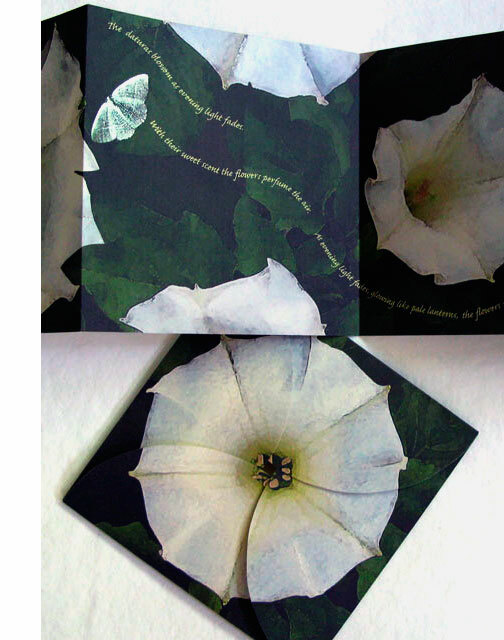 Datura celebrates this night bloomer, opening as "the evening light fades," perfuming the air until the "moths are giddy." Grasswood, Saskatchewan, Canada: Byopia Press, 2006. Edition of 24. 6 x 4"; 12 pages. Typeface: Papyrus. Giclée printed onto Legion Domestic Etching paper. Sewn text block. 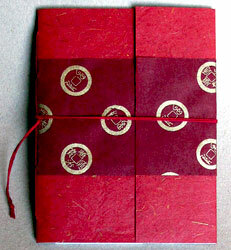 Bound in Tanabata paper overlapped with tabbed closure. 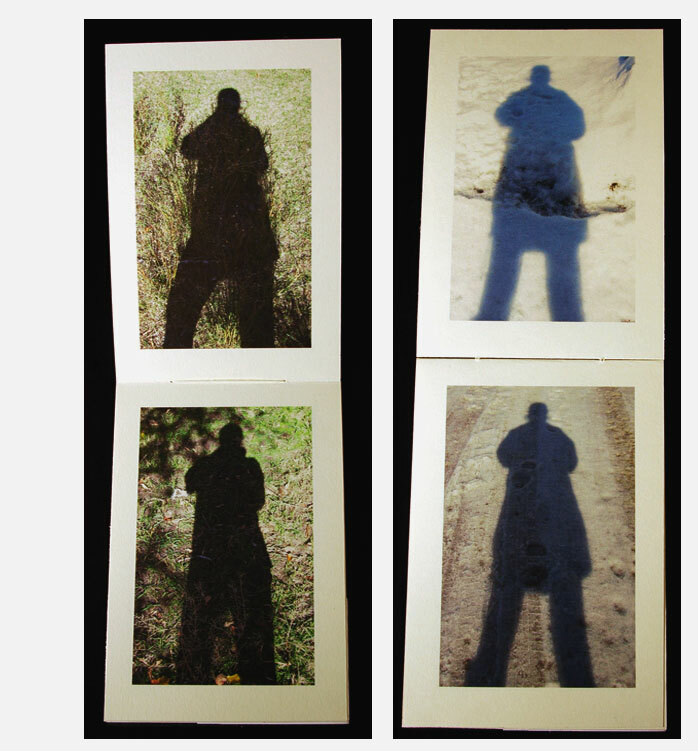 12 photographs of the artist's shadow, always in the same stance and taken from the same angle. Only the background is different. Literature and folklore are replete with example of a man/woman without a shadow. Is there an opposite? Grasswood, Saskatchewan, Canada: Byopia Press, 2004. Edition of 20. 3 x 4" closed, extends to 32"; 8 pages. Accordion structure. Photographs from a Canon PowerShot 5330 camera giclée printed onto Canson Mi-Tientes paper by an Epson 2200 inkjet printer. Typeface: KIDS. Housed in open ended sleeve with title printed on one side. Cathryn Miller: "The photographs [of bicycle skid marks on asphalt] were made at a viewpoint above Lake Okanogan in September, 2003." 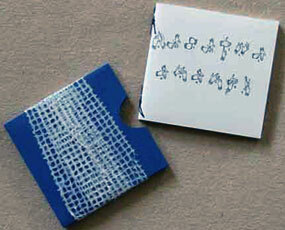 The book is dedicated to Sandi Hamm, "who wants to learn how to make every kind of mark." Grasswood, Saskatchewan, Canada: Byopia Press, 2013. Edition of 30. 6 x 5.5"; 16 pages. Digitally reproduced linocut/chine-collé illustrations. Archival inkjet print on Legion Domestic Etching paper. Handsewn pamphlet binding with paper covers. Illustration on front cover with colophon on back cover. Signed and numbered by the artists. 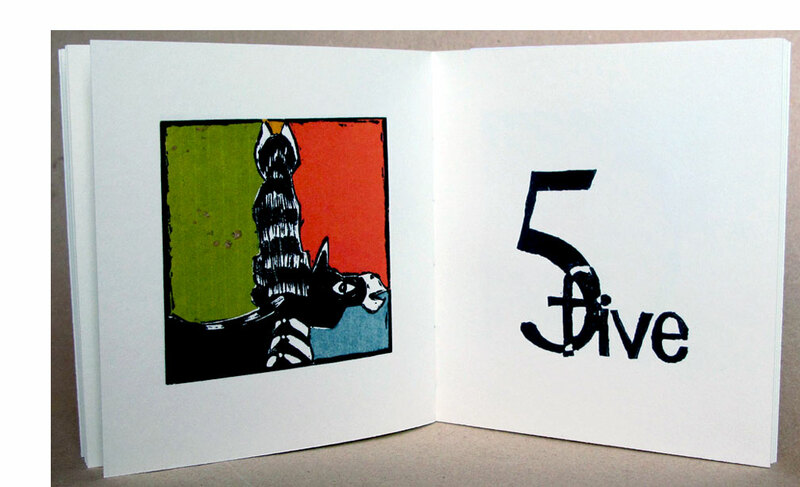 Byopia Press: "Mary Romanuck’s linocuts again delight the viewer in a second counting book from Byopia Press. Inspired by an Oaxacan carved cathorse creature, the illustrations are visually engaging as well as providing colors to count." The original linocut and chine-collé illustrations were created by Romanuck. The book design and production were completed by Miller. Grasswood, Saskatchewan, Canada: Byopia Press, 2012. Edition of 36. 6 x 7.75"; 26 pages. Digitally scanned and adjusted images from original linocut and chine collé works by Mary Romanuck. 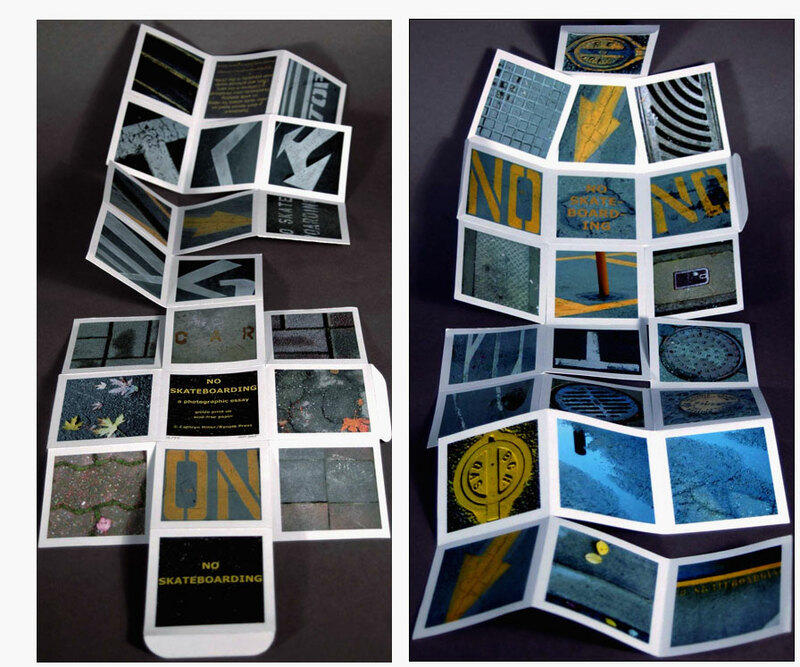 Design, digital preparation, printing, and binding by Cathryn Miller. Typeset in Arno Pro. Laser printed on 80 lb. acid free text paper. Bound in quarter cloth stiff sleeve wrapper. Wrappers come in different colors. Signed, dated, and numbered by Cathryn Miller. Cathryn Miller: "This is Byopia Press’s second publication featuring the delightful linocut/chine-collé prints created by Mary Romanuck. 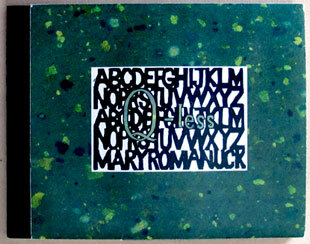 This time Mary tackles the entire alphabet, but ultimately finds herself “q-less”. " Saskatchewan, Canada: Byopia Press, 2011. Edition of 30. 6.25 x 6.25"; 56 pages. Hand bound codex. Digitally altered photographs and text by Cathryn Miller. Typeset in Bookman Old Style. Laser printing on acid free paper. 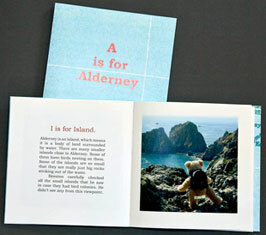 Alphabet book based on the adventures of a small bear on the island of Alderney. 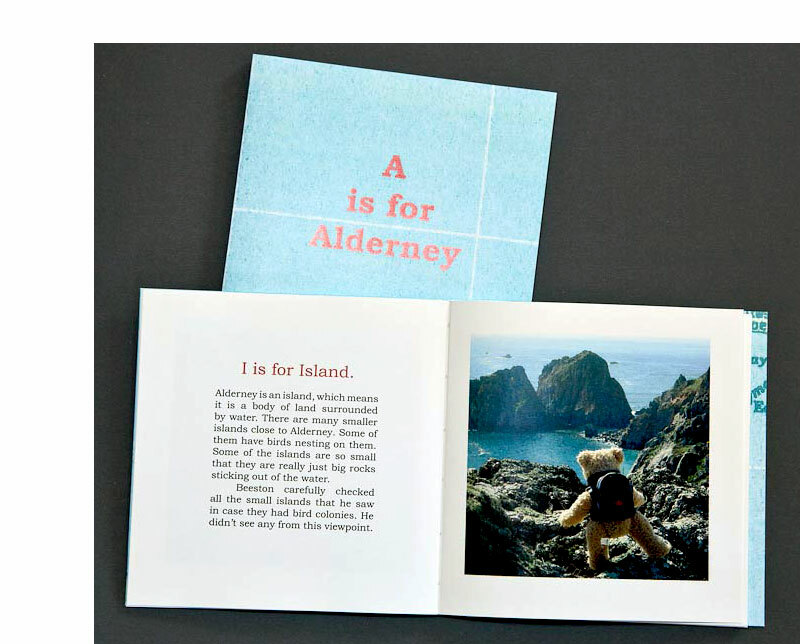 Cathryn Miller: "A holiday trip to Alderney in the Channel Islands becomes an alphabetical adventure with Beeston [the bear]. The world is a fine place when seen through the eyes of a small but adventurous teddy bear." 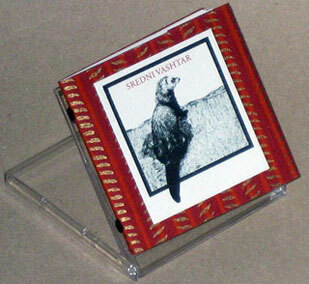 Saskatchewan, Canada: Byopia Press, 2011. Edition of 26. 6.25 x 6.25"; 50 pages. Hand bound codex. The book was hand drawn, then scanned and resized in Photoshop. Test is Caflisch Script Pro. Laser printed on acid free paper, hemp paper covers. Hand annotated in red pencil. 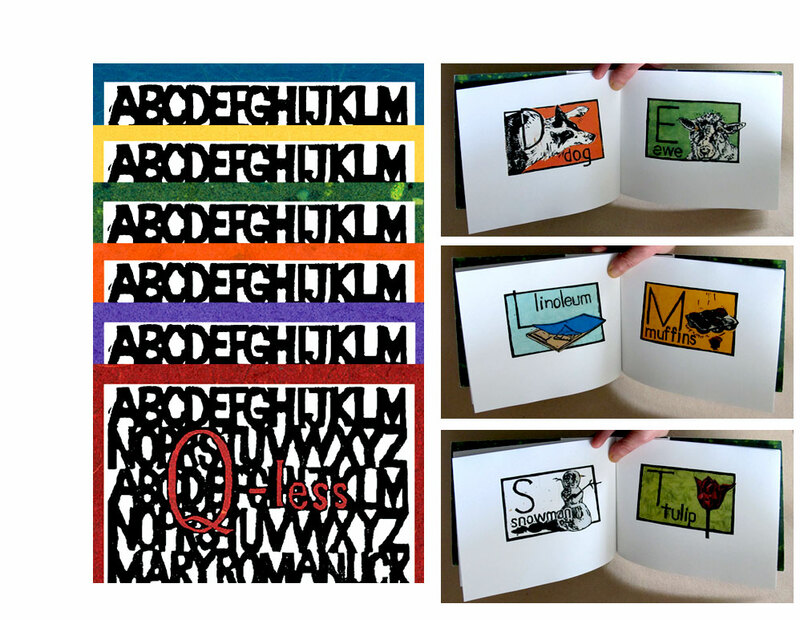 An alphabet book based on the artist's personal struggle to become a practicing artist. Cathryn Miller: "The trials and tribulations of the art education process as recalled from a satisfactory distance after the author learns that everything is useful after all." Grasswood, Saskatchewan, Canada: Byopia Press, 2010. Edition of 36. 5.5 x 7 x .25"; 28 pages. Laser printed on acid free paper. Typeset in Century Schoolbook. Paper covered boards with cloth spine. 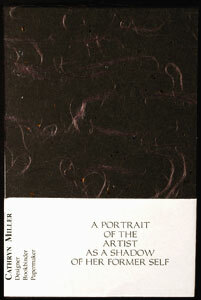 This is a pamphlet edition of Miller's original sculptural book from 2008 of the same title. That edition of 4 is now out of print. An alphabetical recounting of a childhood fondness for stamps and maps. 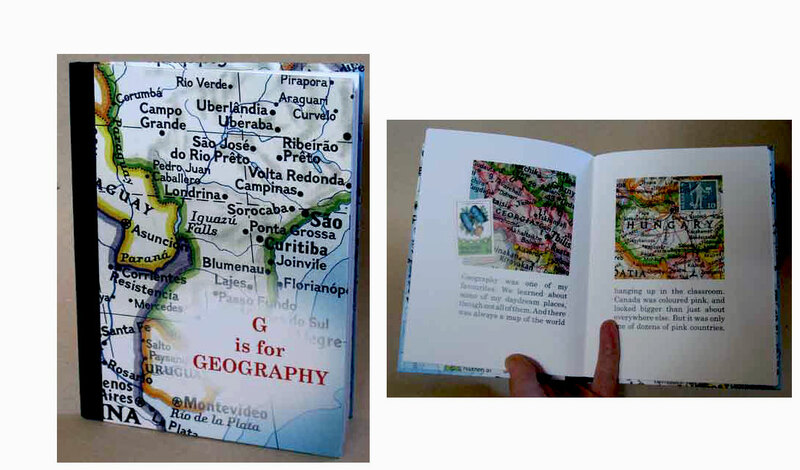 Each page has a map corresponding to the appropriate letter (e.g. 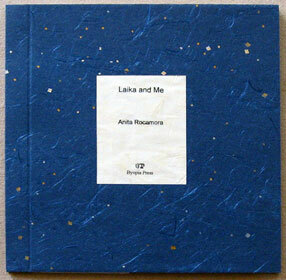 Afghanistan, Bolivia, Congo...) with an autobiographical narrative about the artist's fascination for maps. 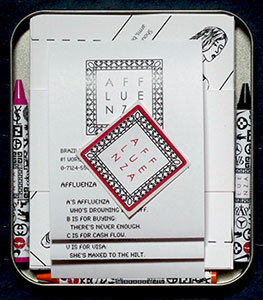 Two books — An Alphabet… and A Paper Doll —in a dos-à-dos structure. Alphabet: 5.5 x 5.5"; 38 pages. Paper Doll: 8 x 10"; 5 leaves. Typeset in Bookman Old Style. Giclée printed on Cougar Cover and Weyerhaeuser First Choice. On Christmas when four year old, Cathryn Miller received a doll, which she named Janet. Janet survived the years — cuddled, dressed, and investigated (see "E is for Embroidery Scissors" for details of the internal exam) — and now is reformatted as a paper doll with an alphabetic history. 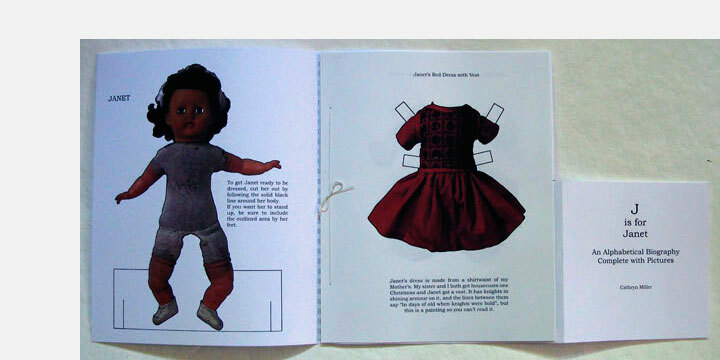 The paper doll book produces Janet with a stand and four outfits and includes details of how each came to be. 6 x 6" closed, extends to 18"; 3 leaves. Tri-fold. Giclée printed. Enclosed in two paper sleeves. A tribute to Van Gogh's Starry Night in the form of a straightforward alphabetic roam through the heavens — Ares to Zodiac. Grasswood, Saskatchewan, Canada: Byopia Press, 2009. Edition of 25. 6.25 x 3.25";10 pages. Accordion structure. 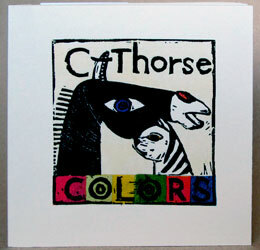 Original linocut and collaged illustrations giclée printed on Legion Domestic etching paper. Housed in printed paper sleeve. 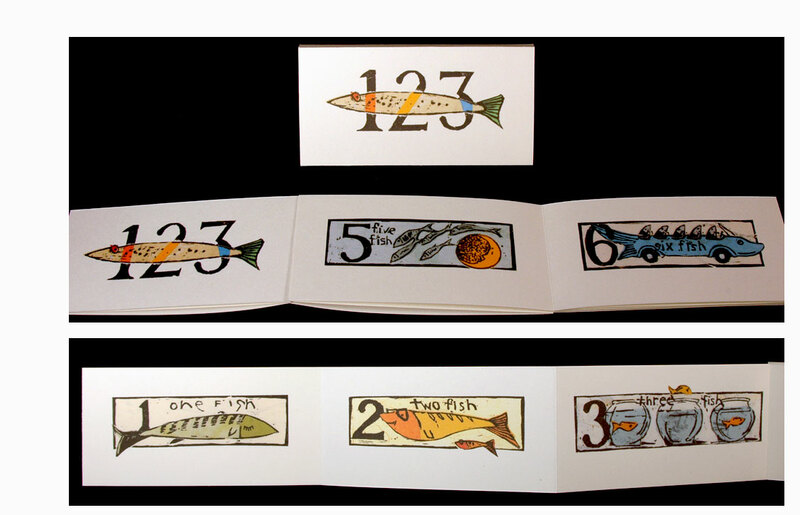 From 1 sleeping fish through 5 flying fish (over the moon) to 9 canned sardines, artist Mary Romanuck and book designer Catherine Miller take us from 1 to 9, simply and with a smile. 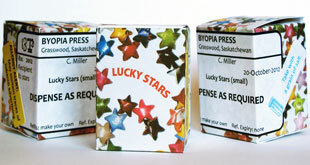 Saskatchewan, Canada: Byopia Press, 2011. Edition of 6. 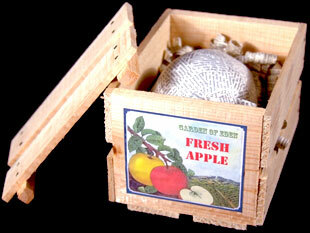 4.25 x 6 x 4" wooden slat structure resembling an apple crate. Removable top. 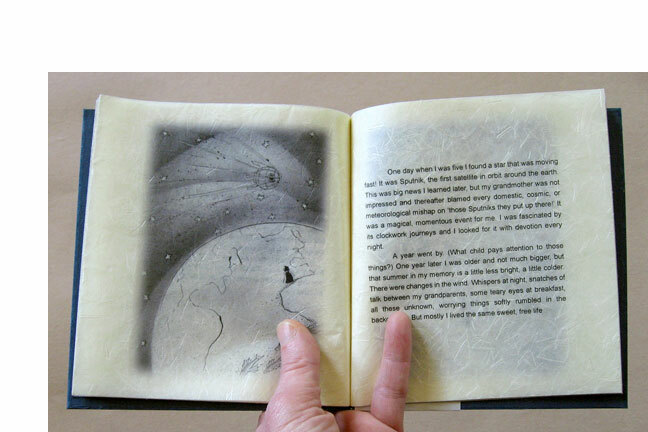 Variant of an altered book. Papier maché with digital graphic design. Materials: dictionary pages, Styrofoam, coated wire, recycled spruce timber, brass tacks, 100% cotton rag paper, PVA/starch paste mix. Ink jet printing. 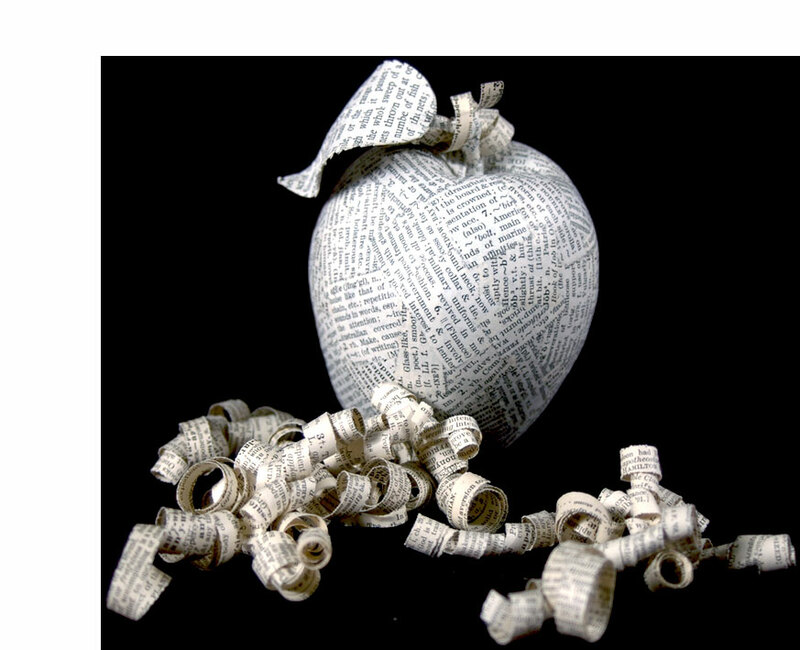 Cathryn Miller: "The apple is made from random pages ripped from a decaying dictionary and adhered to a Styrofoam core. The 'excelsior' packaging inside the crate is coated with PVA/starch mix, cut, and curled from "A" pages of an antique dictionary, including the pages listing hereditary apple varieties. The apple is a recurring theme in both European mythology and Christian history: a long time embodiment of both learning and danger, sometimes it is just as simple as an apple for the teacher." Saskatchewan, Canada: Byopia Press, 2010. Open Edition. 4 x 2.5"; 51 leaves. Casebound flipbook. Signed by artist. 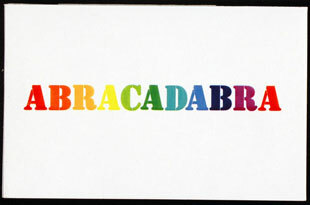 Each letter of the word abracadabra morphs into the following letter. At the same time the letters pass through the colors of the visible spectrum, the colors of the rainbow – red, orange, yellow, green, blue, indigo, violet. 6 x 6" closed; 6 x 18" open. 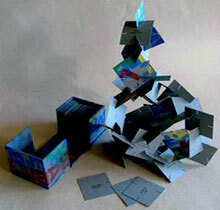 Reverse gatefold structure. Giclée printed with illustrations from old natural history books. Typeface: Bodoni Book. Printed on Arches paper with an Epson Stylus Photo 2200 printer. With a 2"-wide bandoleer sleeve. 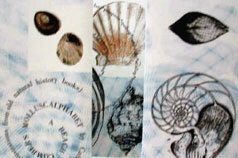 An alphabet of molluscs printed in swirls and lists against a background of shell illustrations from natural history books. Grasswood, Saskatchewan, Canada: Byopia Press, 2005. Edition of 30. 6 x 6.5"; 28 pages. Sewn text block. Giclée printed on acid-free paper. 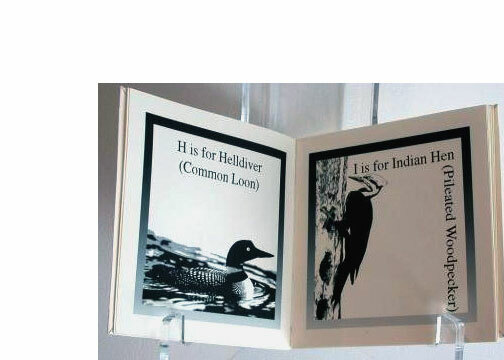 A straight forward alphabet for birdwatcher's, no frills, just names — from A is for Anisodactyleous (American Robin) to Z is for Zygodactylous (Downy Woodpecker) — and images. Grasswood, Saskatchewan, Canada: Byopia Press, 2015. One-of-a-Kind. 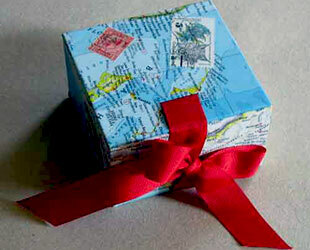 4.7 5 x 4.75" Canal Paper box with hand-made paper honeycomb containing 66 miniature scrolls. Laser printing. Initialed and dated by the artist. Text: "If all the bees die, we lose not only some food crops and some flowers, we lose language. 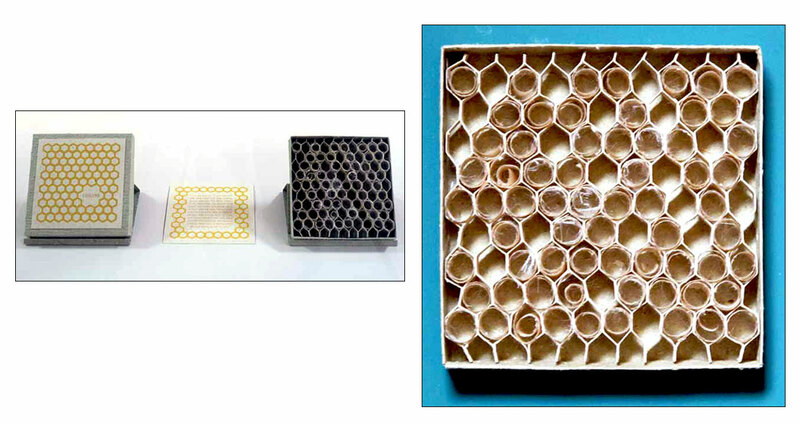 The small scrolls in the honeycomb are printed with words for honey, honeycomb, mead, or wax, selected from twenty-seven languages ranging from Sanskrit to Finnish. Phrases like 'busy as a bee' and 'honey-tongued' will lose their meaning and disappear. not only our physical world will be impoverished, but our linguistic one as well." 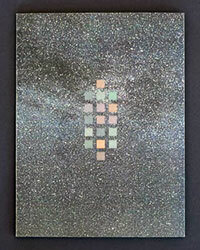 Cathryn Miller, colophon: "Part of an ongoing series of works based on exploration of colour-graphemic synesthesia. This book presents 'The Cloths of Heaven' by W. B. Yeats in a purely visual form. Letters become colours, and are used as graphic elements. The book manifests the essence, if not the sense, of the poem." Grasswood, Saskatchewan, Canada: Byopia Press, 2004. Edition of 16. 2.75 x 2.75"; 20 pages. Miniature. Sutured text block. Giclée printed. Housed in sleeve. This humorously presented not-so-humorous personal story chronicles the adventures of the artist (who deals with rheumatoid arthritis) from the onset of a shooting pain in her hand, through the vagaries of modern medicine, to a successful ending, of sorts. Final score: 6 not-so-goods to 1 this-is-not-bad. Less is more. 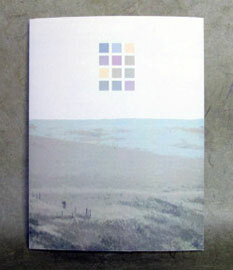 Saskatchewan, Canada: Byopia Press, 2011. 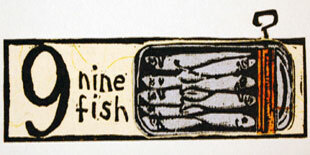 Edition of 8. 2.5 x 3.25"; 8 pages. Accordion. Laser printed on acid-free paper, papyrus, acid free card stock. Bound with cotton cord. 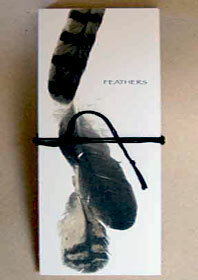 Housed in 2.5 x 8 x .75" two-part paper construction with grouse tail feather. 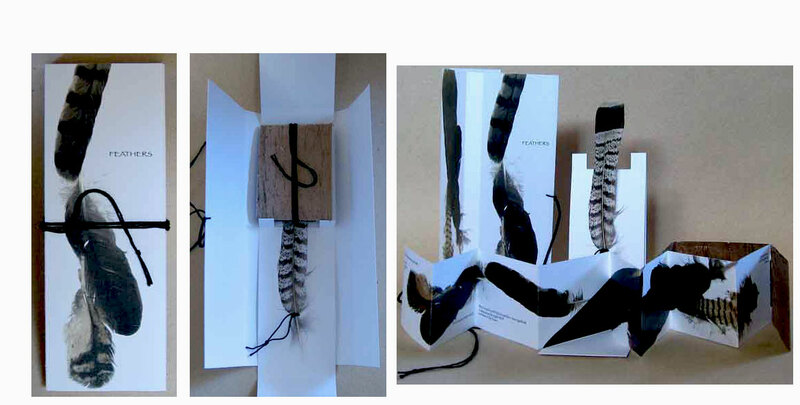 Laid-in wrap aroun illustrated paper box with cord closure. Cathryn Miller: "A very short story about finding feathers illustrated with an assortment of scan and altered images of feathers. Includes one tail feather mentioned in the story. " Saskatchewan, Canada: Byopia Press, 2016. Edition of 3. 16.25 x 16.25 x 0.25" extended. 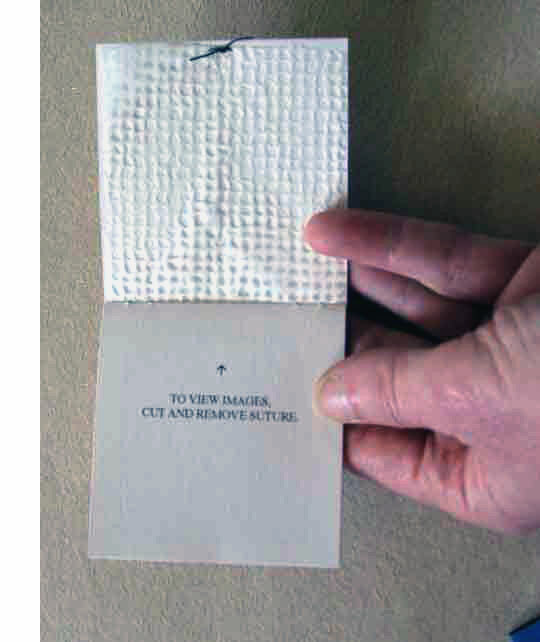 Sewn boustrophedon (ancient form of writing with lines alternately written left-to-right and right-to-left) of pockets containing laser-printed content on assorted papers. Signed and numbered by the artist. Cathryn Miller: "Humans have sought many ways to guide them through life: physical guides such as maps, spiritual guides such as religion. The pockets of this book contain - in no particular order - replicas of some of the tools that humanity has used over the centuries to find paths through life. Some items here are serious and some, like the paper fortune teller, less so. "Included are simulacra of the oldest known maps made by man: a chart of the night sky over Nineveh, circa 3300 BCE, and a map of the city of Nineveh, circa 1400 BCE. There are objects representing magic and religion, math and divination. There are symbols of good luck and protective amulets. If you ask the right question, the paper fortune teller may even tell you which path you should take. "Extensive research was done both in books and on the internet to collect images and concepts. All images are either personally created or alterations of items in public domain. All text is original. " 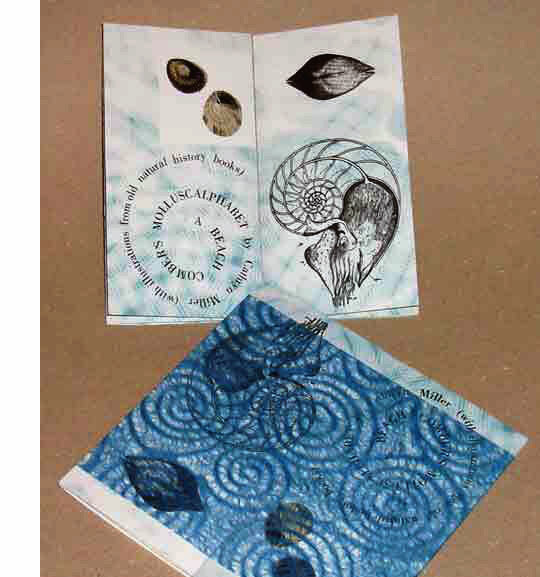 Cathryn Miller, blog: "The pockets are sewn together in a boustrophedon variation: instead of going back and forth in the traditional manner, this book reads in a spiral. 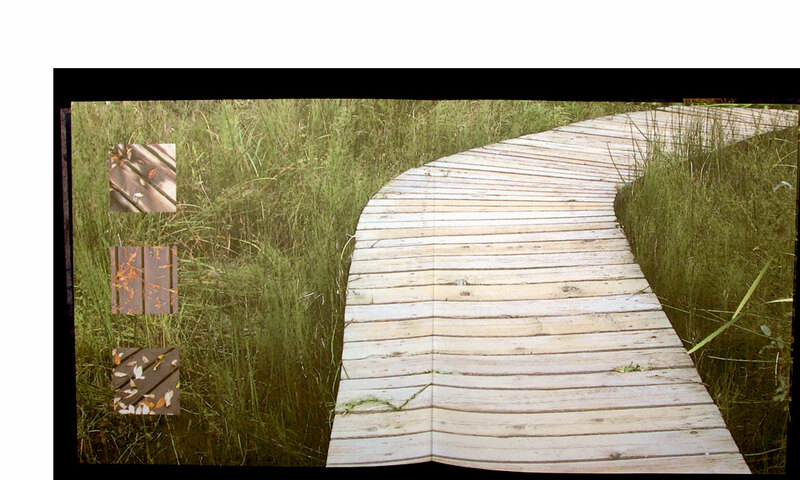 The design on the front of each pocket is a stitched version of the path through the book. "The pockets are sewn together with a spaced double buttonhole stitch and, where there is an open side due to rotating the orientation of the pockets, the edge is sewn with a spaced single buttonhole stitch." Grasswood, Saskatchewan, Canada: Byopia Press, 2007. 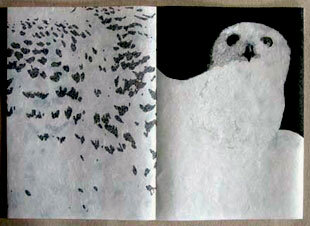 9 x 6 x 3"; altered book. Materials: Davey board, Thai tamarind paper, Canson Mi-Teintes paper, cotton cord, leaf buttons plus one altered copy of The Forest (Peter Farb, Time-Life, 1961). Housed in six-sided drop down case with button and cord closure. 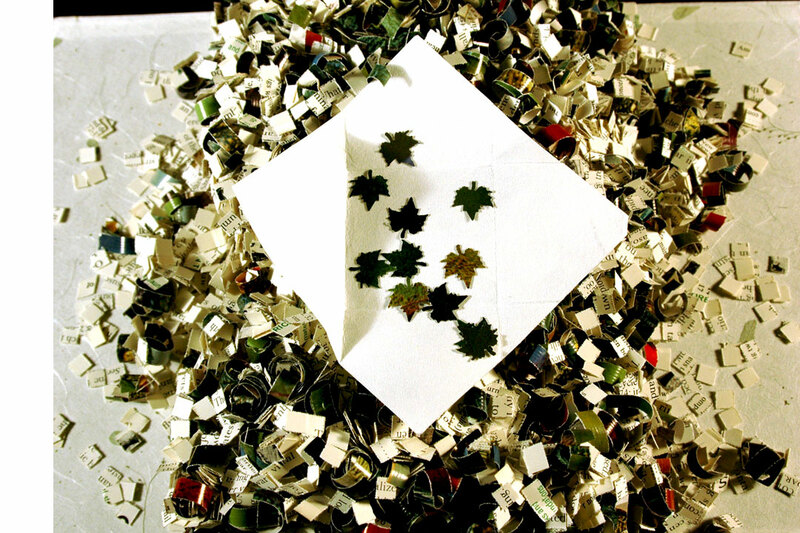 Tiny pieces of The Forest, mostly quarter-inch squares, in a six sided case. A reinterpretation of the original book's subject matter. 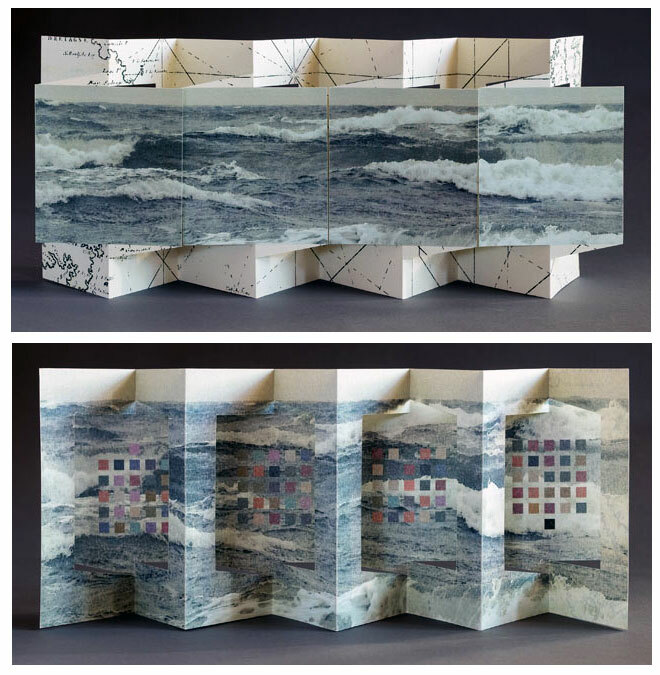 Cathryn Miller: "This work deconstructs an existing book and turns it into a new set of structures that still reflect the original content." Grasswood, Saskatchewan, Canada: Byopia Press, 2005. Edition of 40. 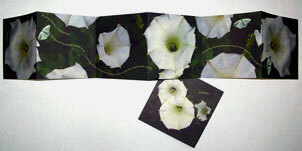 5 x 5" closed, extends to 29.5"; 6 leaves. Accordion structure. Calligraphic design giclée printed onto Arches 90 lb. hot pressed paper. Tipped in handmade paper collages. Housed in two part handmade paper sleeve. 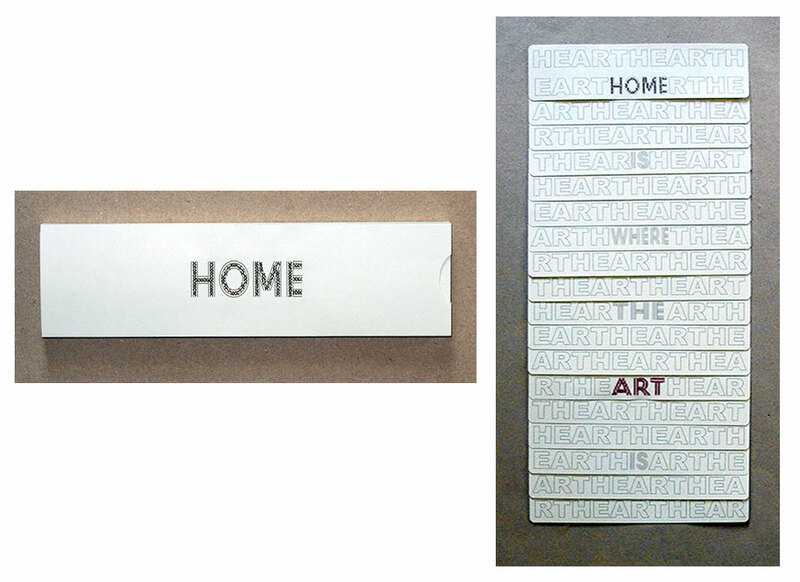 Calligraphy, digital manipulation, papermaking, printing, and assembly by the artist. Cathryn Miller: "The foundation of Four Seasons In A Dry Year is language. 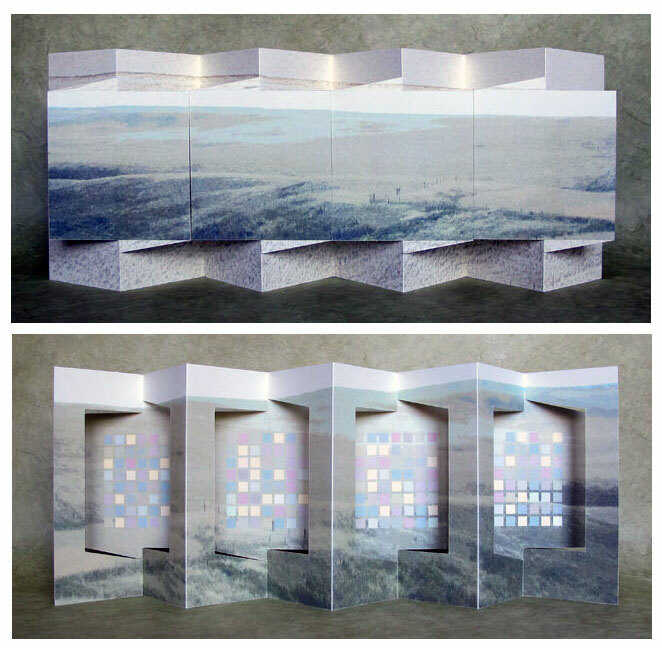 The calligraphic landscapes include 10 First Nations and 60 immigrant languages for seasons (part of living in the northern hemisphere at this latitude) using the prairie landscape as a visual framework. "If one lives outside a city, as most people used to (and many still do), the weather and the seasons are a way of measuring time. I hoped to reflect in this work both the multicultural aspect of Canada as a country and the importance of the natural world: length of day, amount of rain, when the bugs come, when the harvest is ready. It also refers to the threat of climate change. Weather patterns are not what they once were: storms are more violent, droughts more severe, and last for more years than Environment Canada (or anyone else) can correctly predict. "The book was created after Saskatchewan had suffered a prolonged period of drought. In some areas it was drier than during the Great Depression of the 1930s. And this year , of course, we have suffered from torrential downpours and flooding. "Language is the way people define their universe: it was raining so hard that...; it was so cold that.... And where I live in the central part of the country, weather (and the seasons) are extreme. " Grasswood, Saskatchewan, Canada: Byopia Press, 2008. Edition of 4. 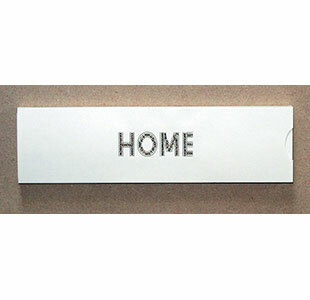 3.75 x 3.75 x 2.25"; 26 pages, attached/hinged with eyelet grommets. Giclée printing. 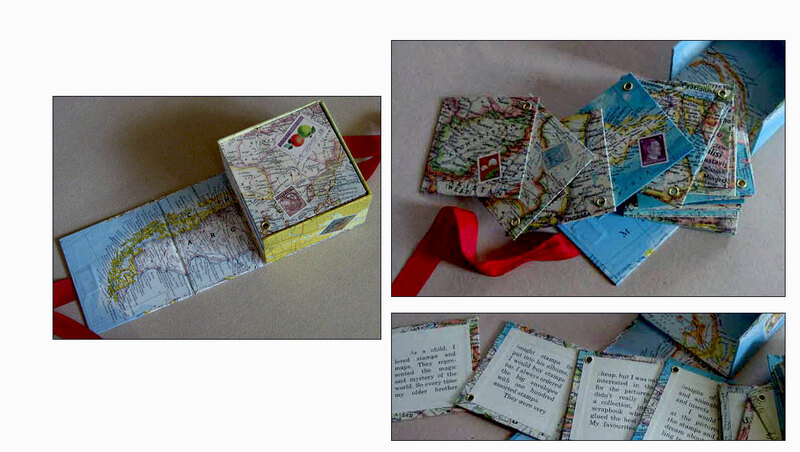 Materials: Indian 100% cotton rag paper, map and stamps, Eterno board, grosgrain ribbon, eyelets. Housed in drop-back case covered with red ribbon tie closure. 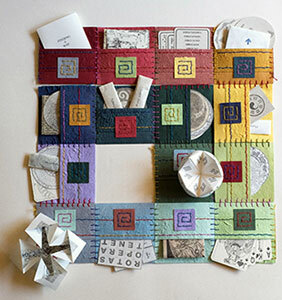 Cathryn Miller: "An alphabetical story of my childhood fascination with maps and stamps." One side of each page has a map corresponding to the appropriate letter (e.g. 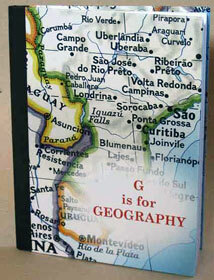 Afghanistan, Bolivia, Congo...); the other is an autobiographical narrative about the artist's fascination for maps. Grasswood, Saskatchewan, Canada: Byopia Press, 2006. Edition of 20. 4 x 8" closed; 6 leaves. Giclée printed on 90 lb Cougar Cover paper. Housed in a matching giclée-printed sleeve. 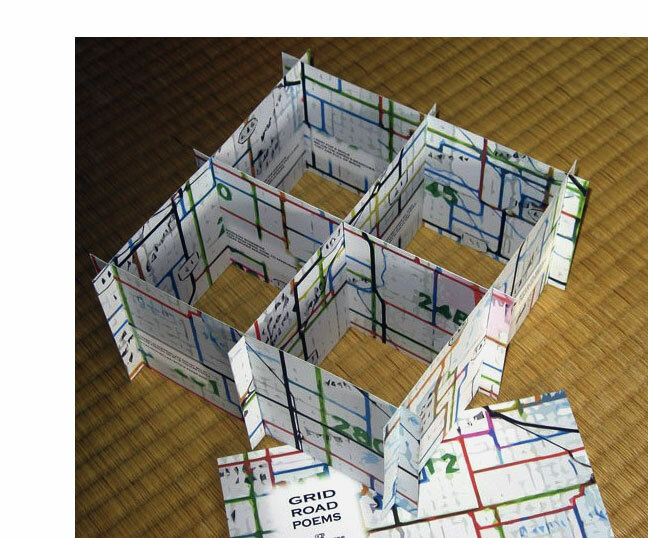 Cathryn Miller: "There's nothing like a walk on a hot summer day, and Grid Road Poems takes you on one. 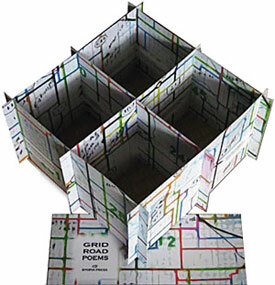 Ten haiku on twelve pages that can be assembled in a variety of ways, the entire work reflects prairie grid roads." Saskatchewan, Canada: Byopia Press, 2005. Edition of 24. 6 x 6 "; 20 pages. Archival inkjet printed on Legion Kinwashi papers. Arial typeface. Endpapers of Fabriano Ingres paper. Bound in boards covered in Tairei paper. The talents of two Canadian artists, Anita Rocamora and Cathryn Miller, combine to produce this illustrated story of a small girl in France and the first dog in space. It's a simple tale about the exuberance of innocence and the end of that state, the inevitable passage into the world of mortality. Rocamora wrote the short story and drew the illustrations; Miller did the book design, layout, printing, and binding. Anita Rocamora, originally from France, now lives in Saskatchewan. She is primarily a ceramist and potter but also writes and draws. Grasswood, Saskatchewan, Canada: Byopia Press, 2005. 3 x 3 x 3" boustrophedon variant (folds into a box and comes with instruction sheet), giclée printed. 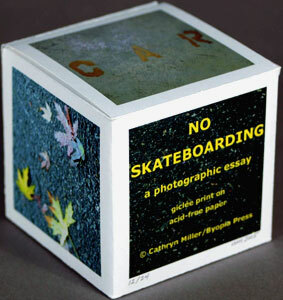 Cathryn Miller: "no skateboarding is a book, a puzzle, a box, a photographic essay about surfaces. Text takes second place to visual images in this piece. The few words involved function primarily as graphic elements, but also lend context to the primary idea of the work: the limitations that one part of society may attempt to impose on another." 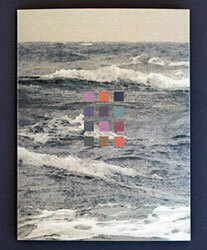 Cathryn Miller, colophon: "Part of an ongoing series of works based on exploration of colour-graphemic synesthesia. 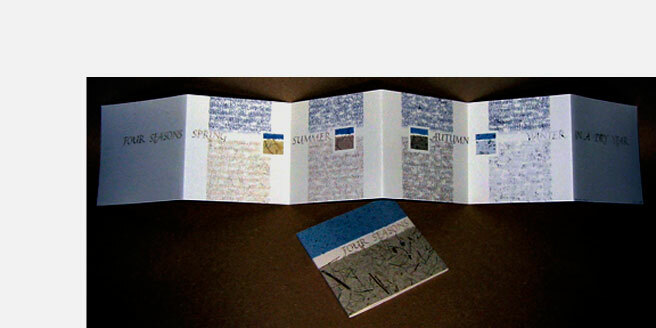 This book presents the lyrics to Pete Seeger's song 'Over The Hills' in a purely visual form. Letters become colours, and are used as graphic elements. The book manifests the essence, if not the sense, of the song." Cathryn Miller, blog: "I [am] interested in the idea of codes - dot/dash, morse code, code - so I played with the idea of colour-graphemic synesthesia and colour-coded alphabets. -- There are more than 26 colours because I allowed for a number of punctuation marks. ... I created a couple of landscape images of rolling hills based on a picture from my photo files. I also re-arranged the text into rectangular blocks, which involved removing all the punctuation except the final period." Dreaming of myself and you. Grasswood, Saskatchewan, Canada: Byopia Press, 2005. Edition of 10. 11 x 7.5"; 5 leaves. Typefaces: Verdana, Palatino, and Times Roman. Printed with an Epson Stylus Photo 2200 onto acid-free papers: Strathmore, Canson Mi-tientes, and Ginwashi. Layered tri-fold with tabbed closure. Text is from The Catalogue of Canadian Birds, ed. John Macoun, Canada Department of Mines: Geological Survey Branch, 2nd edition, 1909. Haiku and illustrations by the artist. Grasswood, Saskatchewan, Canada: Byopia Press, 2007. Edition of 5. 8.5 x 8.5"; 26 pages. Giclée printed on 100% cotton rag paper text block. Also Canson Mi-Teintes paper. 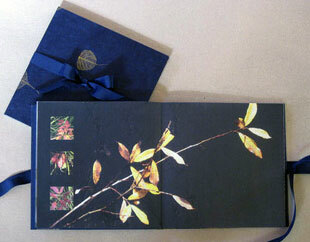 Laid in hard wrapper of board covered by Indian leaf print papers and secured with blue grosgrain ribbon. Cathryn Miller: "The images in the book lead the viewer on a short journey through a wetlands nature preserve in autumn." Skunk Cabbage, found in wet areas of the Pacific Northwest, has a distinctive skunky odor. Mount Revelstoke National Park in British Columbia is home to the Skunk Cabbage Boardwalk. Grasswood, Saskatchewan, Canada: Byopia Press, 2009. Edition of 24. 4.75 x 6.5"; 8 pages. Accordion structure. Giclée printed on Legion Domestic Etching paper. Bound with reverse folded covers and house in a paper slip case. 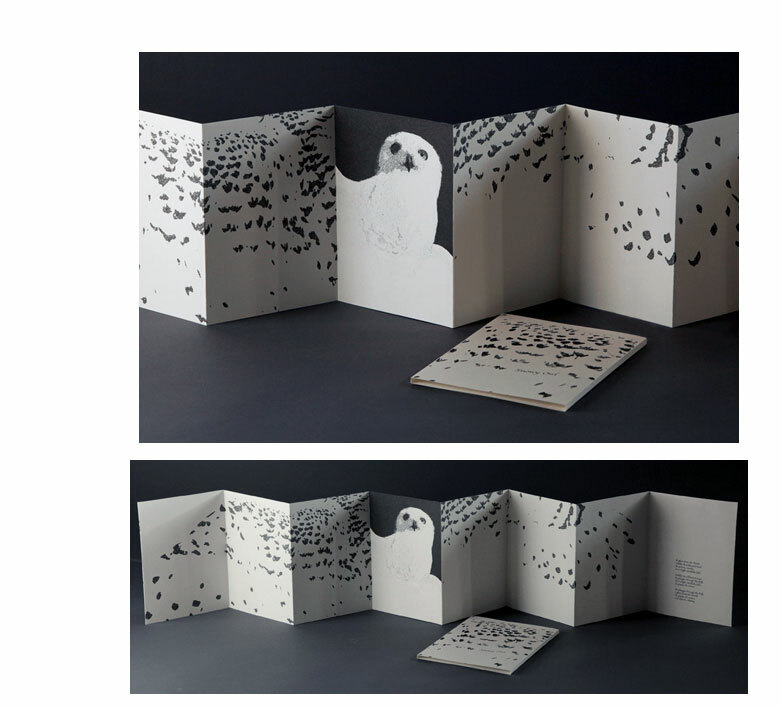 Cathryn Miller: "Digitally created images and a poem in pantoum form about a Snowy Owl hunting in winter." Note: The pantoum, a poetic form something like a villanelle, is a series of quatrains with the second and fourth lines of each stanza are repeated as the first and third lines of the next. Grasswood, Saskatchewan, Canada: Byopia Press, 2009. Edition of 4. 6.25 x 5 x 2" clamshell box one book and one shadow box. 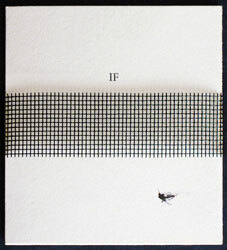 The book (laid in): side stitched, 5.75 x 4.5", 12 pages. Attached to front cover at spine is a used syringe. 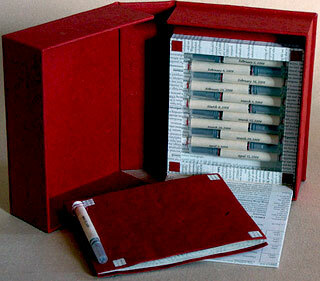 Shadow box (attached to interior of clamshell box): 5 x 4.5 x 1.25" with drop down lid contains 11 used syringes. Other materials: physician drug information sheets, mulberry paper, Indian cotton paper, book board, foam core, sheet acrylic, cotton cord. Giclée printing. Font: Stone Sans Sem ITC TT. Cathryn Miller: "Text of the book deals with the repetitive process of trying new medications until one works. Cross printed in red over drug information sheets, the story is hard to read which engenders a sense of frustration reflecting the feelings of the author while waiting for drugs to work." Grasswood, Saskatchewan, Canada: Byopia Press, 2009. Edition of 5. 3 x 2.5 x 2.5"; 135 pages. Notched loose 2" square cards. Block and giclée printing. Materials: acid-free papers and card stock, Davey board. Housed in paper covered clamshell box. Cathryn Miller: "Slotted pages are printed with a selection of words from political, marketing, business, and military jargon. The pages may be used to build a Tower of Babel. The structure will be unstable, reflecting the instability of social structures dependent on the use of such jargon." Grasswood, Saskatchewan, Canada: Byopia Press, 2008. 9 x 6 x 3"; altered book. Materials: Davey board, Japanese paper, grosgrain ribbon, plus one altered copy of The Hitchhikers Guide to the Universe. 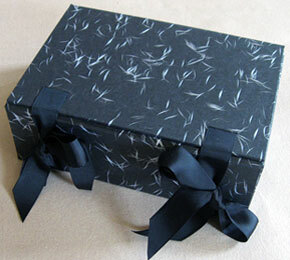 Housed in six sided black-and-silver paper-covered case with ribbon tie closure. The universe cut and folded into several hundred (that's a guess) Froebel stars and placed in a box. A reinterpretation of the original book's subject matter. 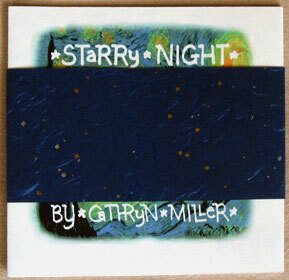 Cathryn Miller: "I have had a lifelong fascination with paper. I enjoy not only making it, but 'playing' with it to create unusual 3-dimensional structures. I consider [paper] to be not just a support material for other processes, but an interesting thing in itself. The sculptural possibilities appear to be limitless." Grasswood, Saskatchewan, Canada: Byopia Press, 2006. Edition of 22. 5 x 5" closed, extends to 68.5"; 16 pages. Accordion structure. Giclée printed onto Legion Domestic Etching paper. Typeface: Adobe Myriad Pro. Gentle propaganda for the benefits of walking supported by images of walkers and quotations by Soren Kierkegaard, Charles Dickens, and Max Beerbohm. 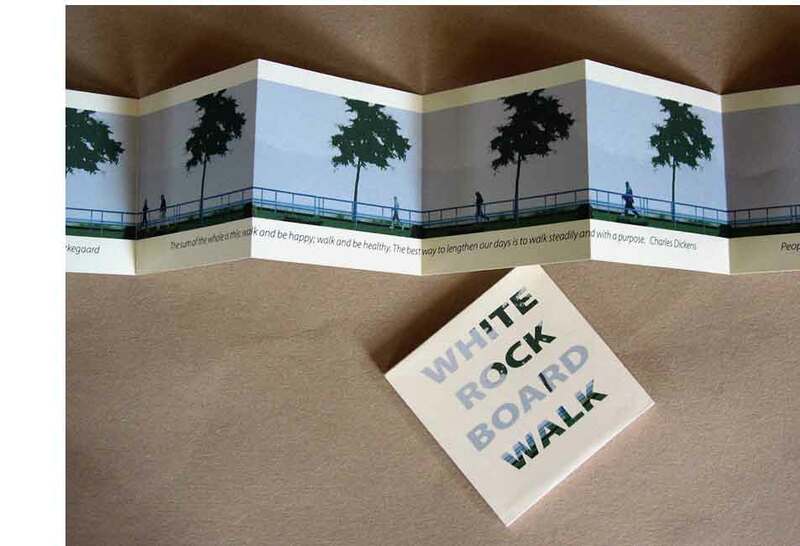 Cathryn Miller, colophon: "This book is based on a series of photographs taken from a coffee shop in White Rock, overlooking the Board Walk above the beach. All photographs have been extensively modified in Photoshop CS2 and if any individual portrayed can prove their identity, I will give them a free copy of the book."